The most common side effects from an influenza vaccine shot include aches, low-grade fever and redness, soreness, toughness, and itching or swelling at the shot site, according to the Centers for Disease Control. The vaccine can also cause hoarseness, itchy eyes, cough, itching and fatigue when the shot contains the inactivated virus. The CDC reveals the live vaccine may also cause headache, wheezing, runny nose, sore throat and chills. Despite possibly getting some cold-like symptoms, the CDC states that patients cannot get the flu from these vaccines because the viruses in the shots are either killed or do not contain the genetic material needed to replicate. Mild side effects begin soon after the shot and commonly disappear within one to two days, although some more serious symptoms go away after three to seven days. Serious side effects are "very rare," according to CDC statistics. Healthline states that seasonal flu shots reduce the chances of someone getting influenza by as much as 60 percent. 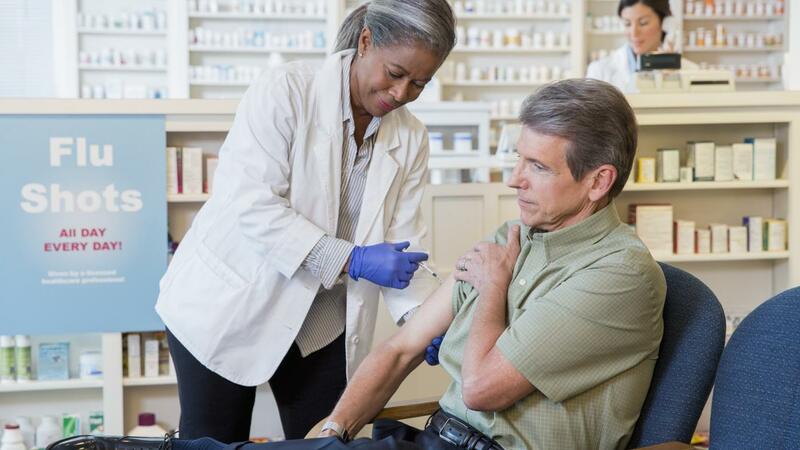 The vaccine is highly recommended for anyone who may develop complications from the flu, including pregnant women, elderly people 65 and older, and those with chronic health conditions, along with their caregivers. People with allergies to chicken eggs, or those who have had an allergic reaction to the vaccine in the past, should not receive the flu shot. What Are the Side Effects of Flu Shots?